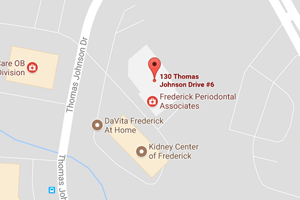 My experience at Frederick Periodontal Associates was excellent. The staff is friendly and attentive, and the office is warm and inviting. The care before, during, and after my procedure was superb. I had no worries and felt connected to my providers throughout my recovery. I am happy with my results and highly recommend their practice.